At Hatfield’s in Los Angeles, chef Quinn Hatfield has improved upon the croque-madame by taking some inspiration from Japan. 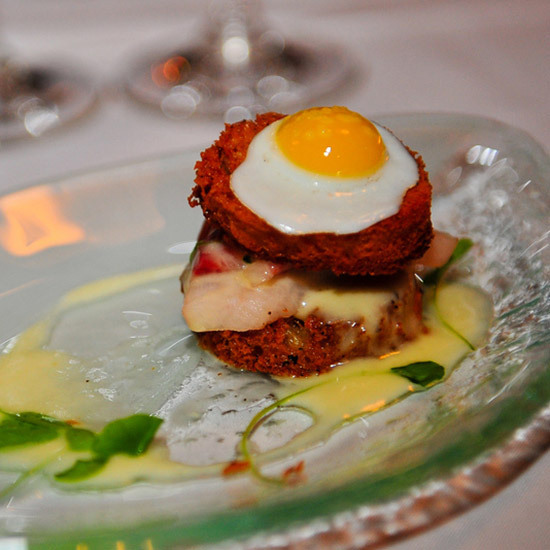 A classic croque-madame is a grilled ham and cheese sandwich topped with béchamel sauce and a fried egg. It’s hard to get any better than that. But at Hatfield’s in Los Angeles, chef Quinn Hatfield has improved upon the classic French dish by taking some inspiration from Japan.